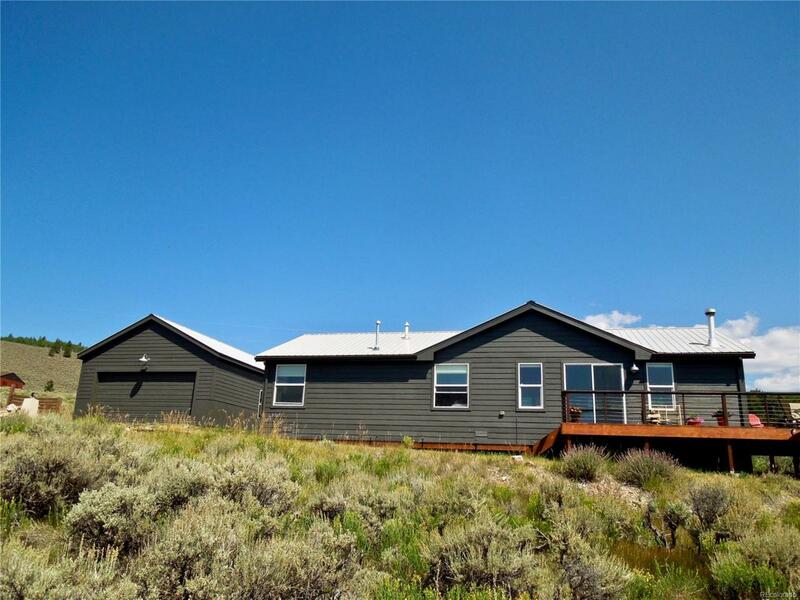 Say hello to lakefront living and spectacular mountain views! This unique, open-concept home stands a stones throw away from the water at Beaver Lakes Estates. Vaulted ceilings and large windows throughout create an airy, roomy ambiance with ample views of the lake and nearby mountains. The living room has a fireplace for getting cozy on those snowy days, and the kitchen features Shaker-style cabinets, butcher block counters, a granite-topped island, and a raised counter for barstool seating. The main flooring is wood-plank tile, the bathrooms are all tile, and the bedrooms are carpet. Outside, a wraparound deck makes a great spot for barbecuing, relaxing, and watching wildlife. The property also has a detached 2-car garage and an unfinished walk-in basement with plenty of space for storage or expansion. This community offers private catch-and-release fishing in both lakes and easy access to National Forest lands for all sorts of outdoor fun. This home will go fast, so call today!